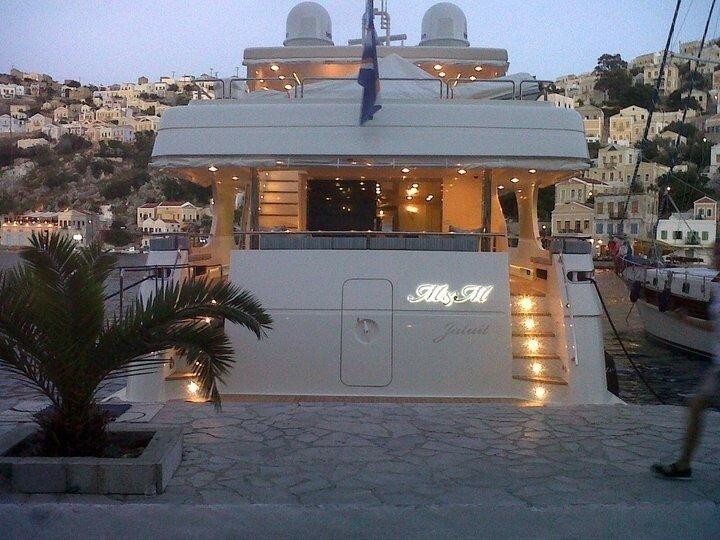 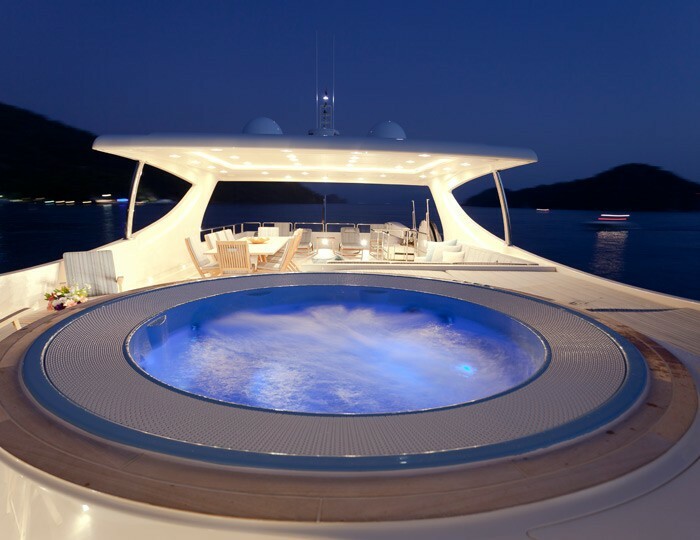 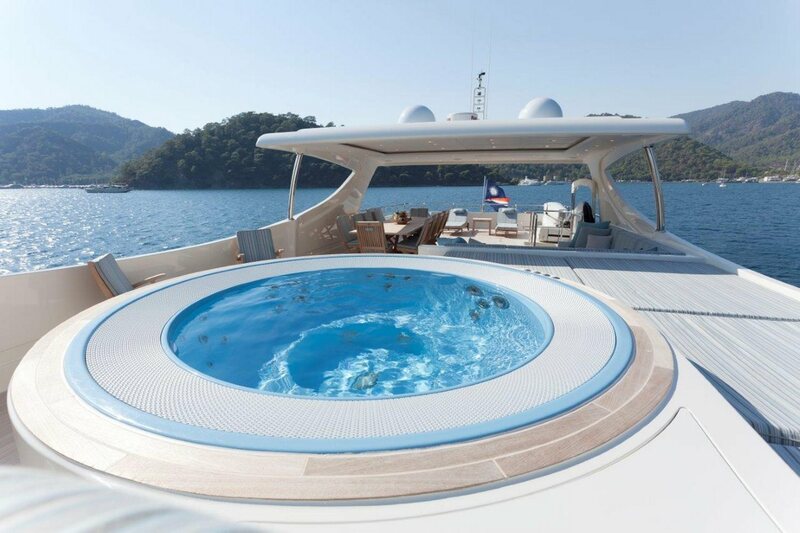 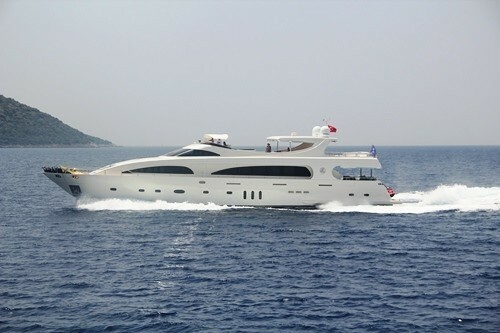 Luxury Motor Yacht M & M is 35m Mengi-Yay, Kerim Demir designed yacht which was launched in 2011. 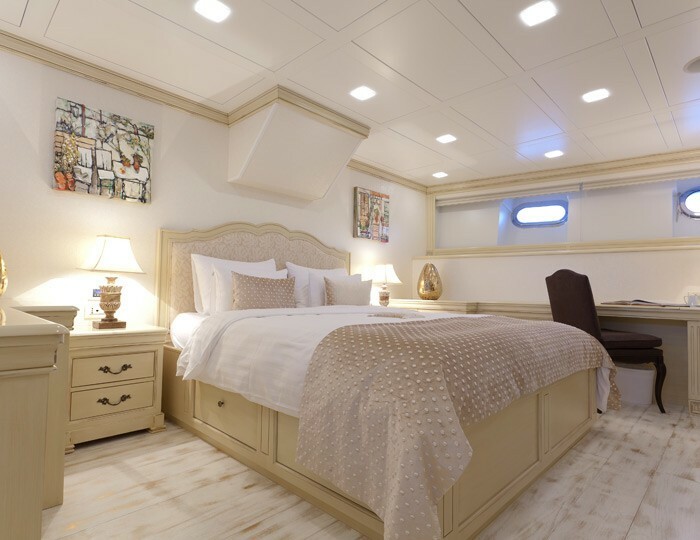 Her interior design incorporates 16th century style with modern and contemporary finishing which results in a relaxed and comfortable environment. 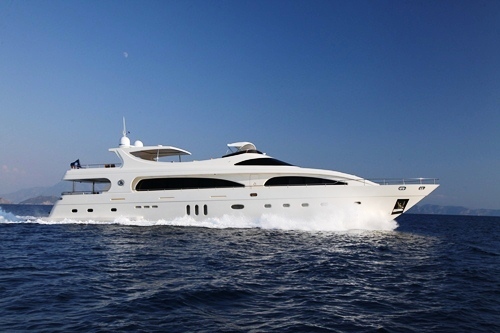 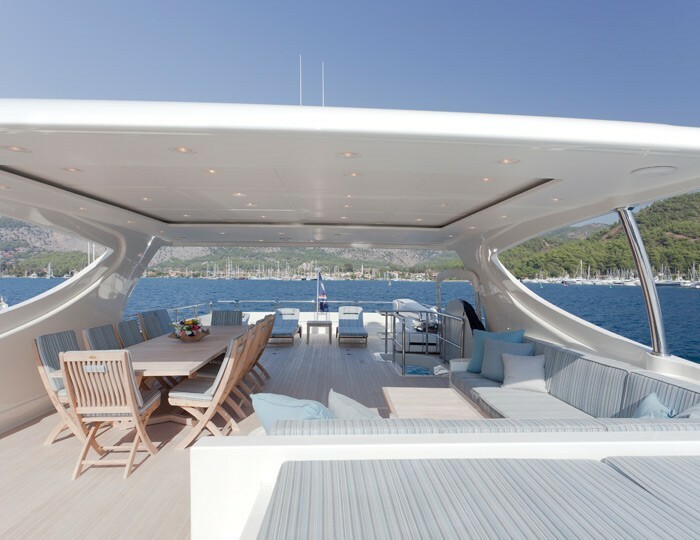 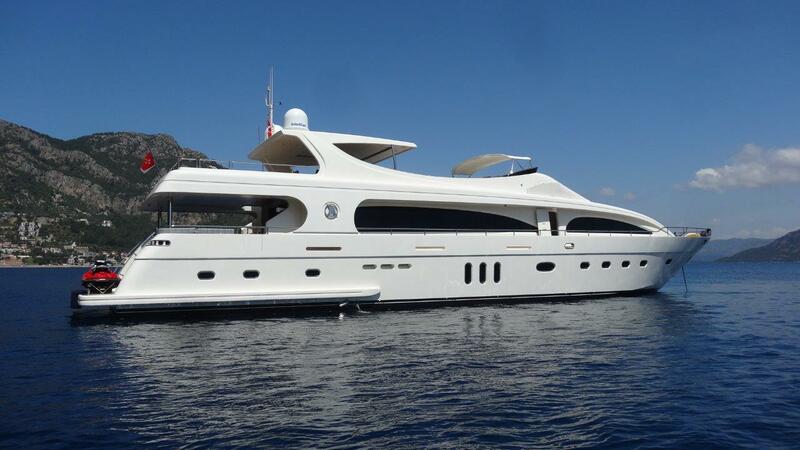 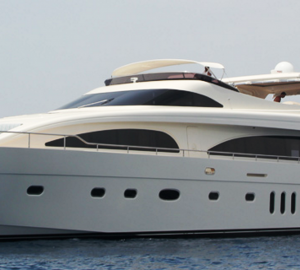 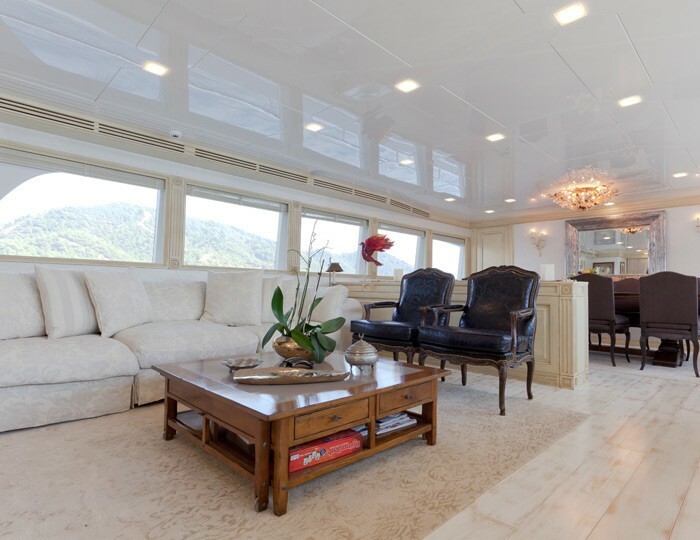 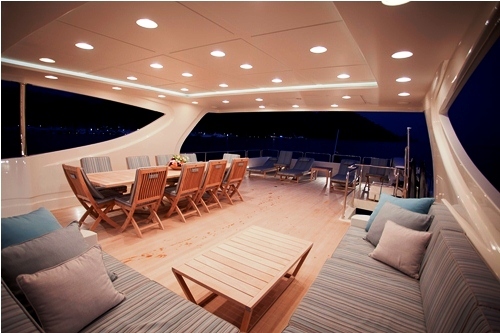 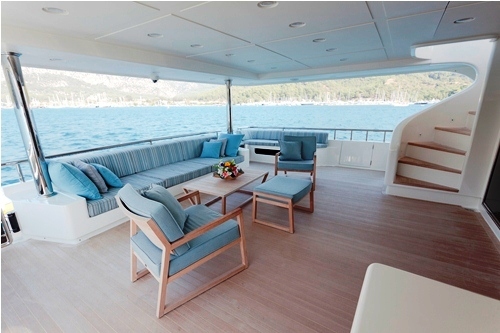 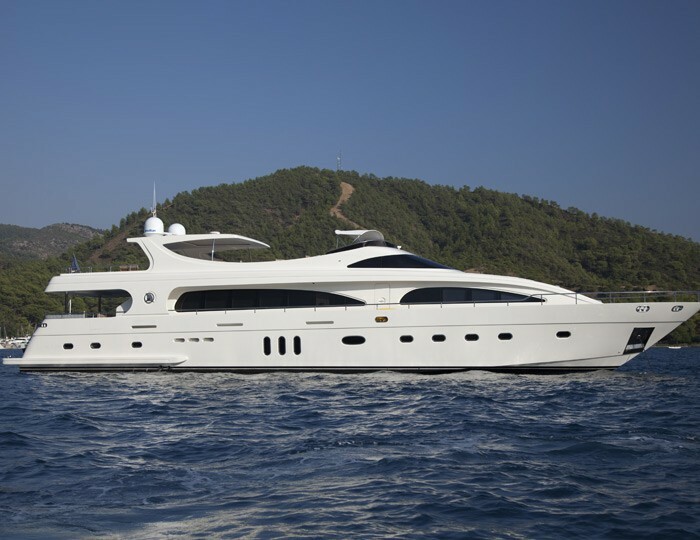 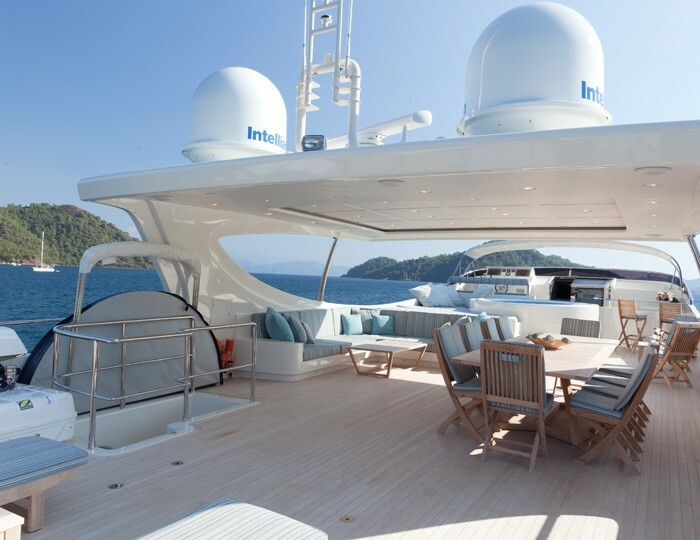 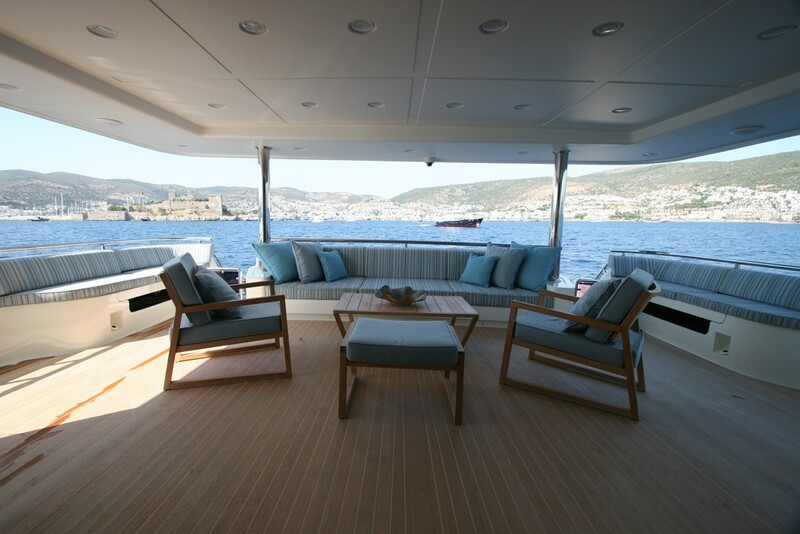 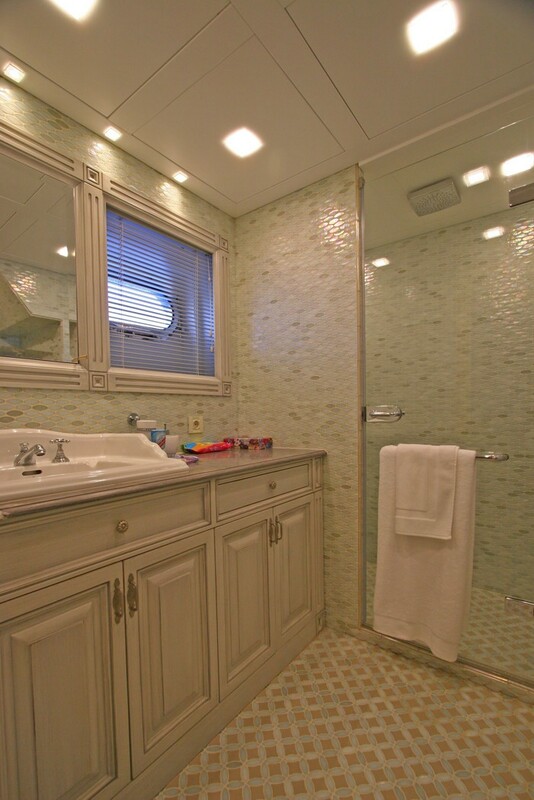 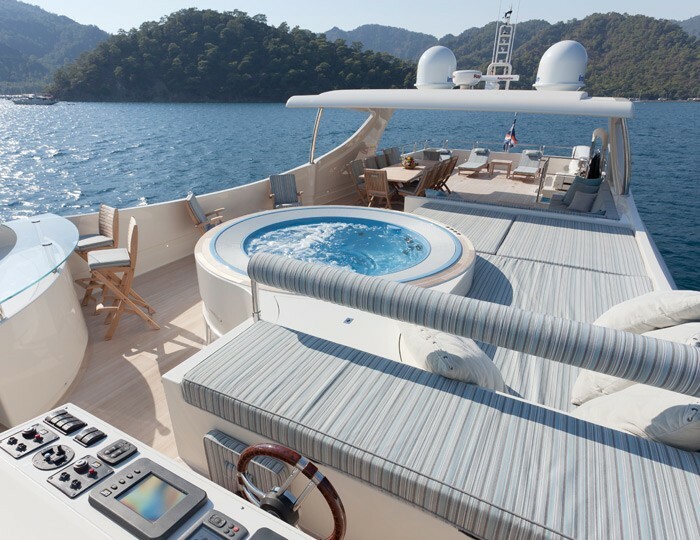 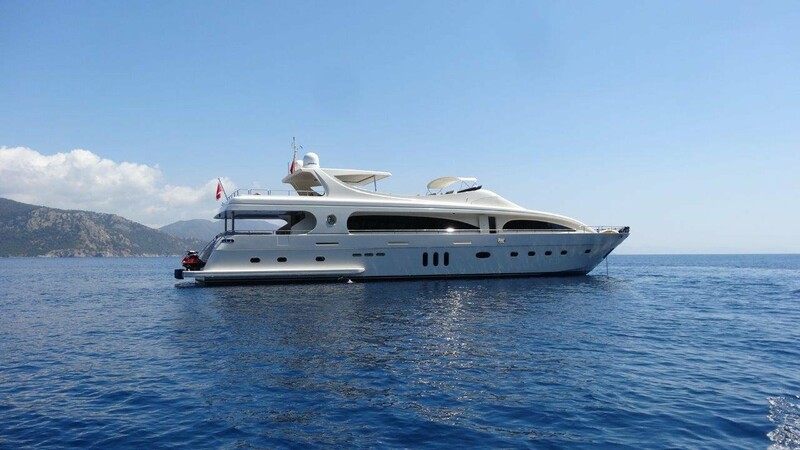 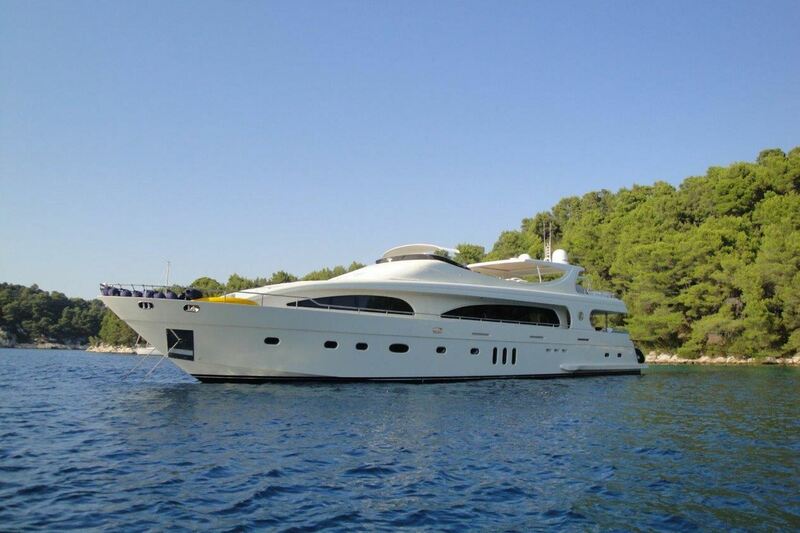 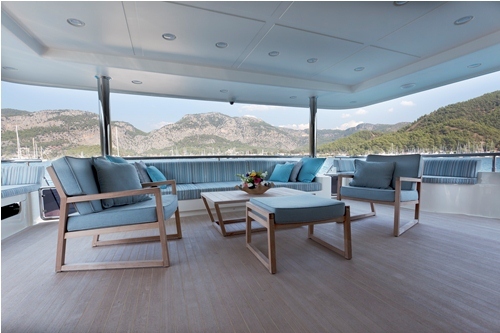 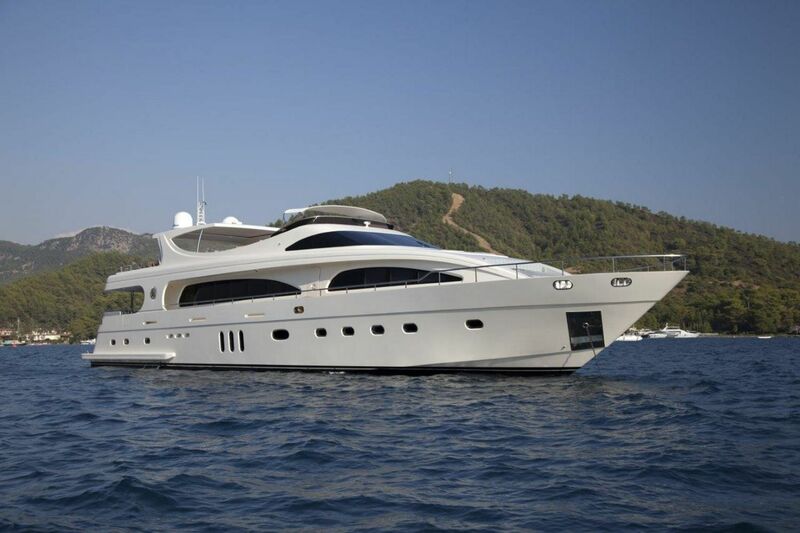 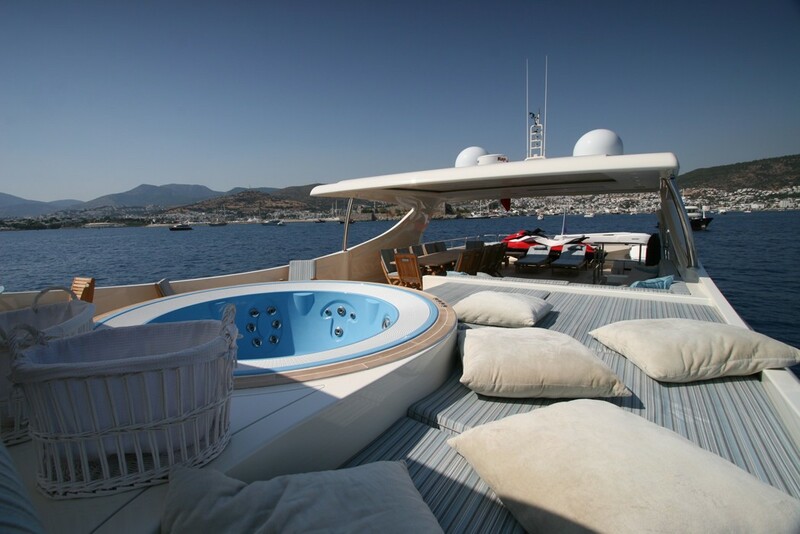 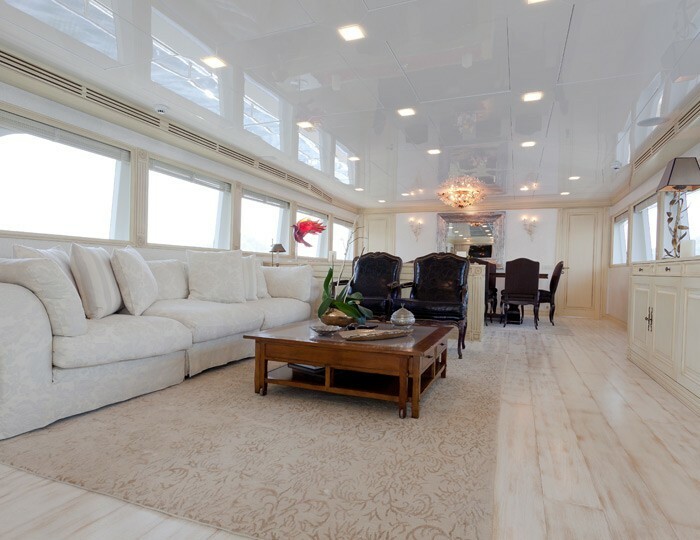 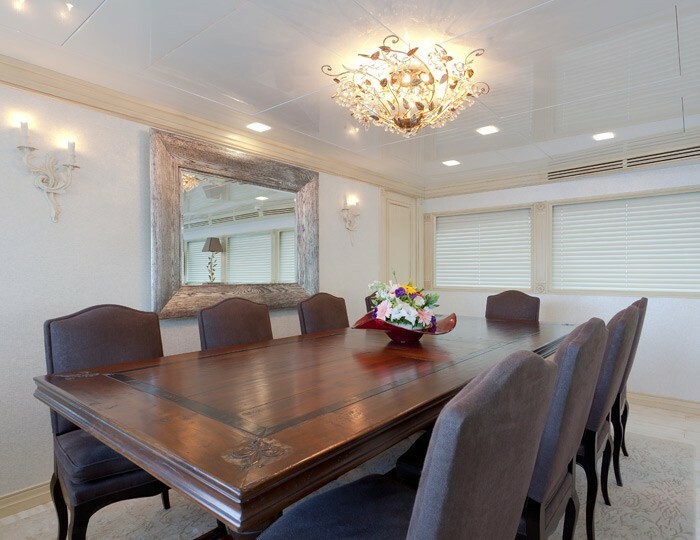 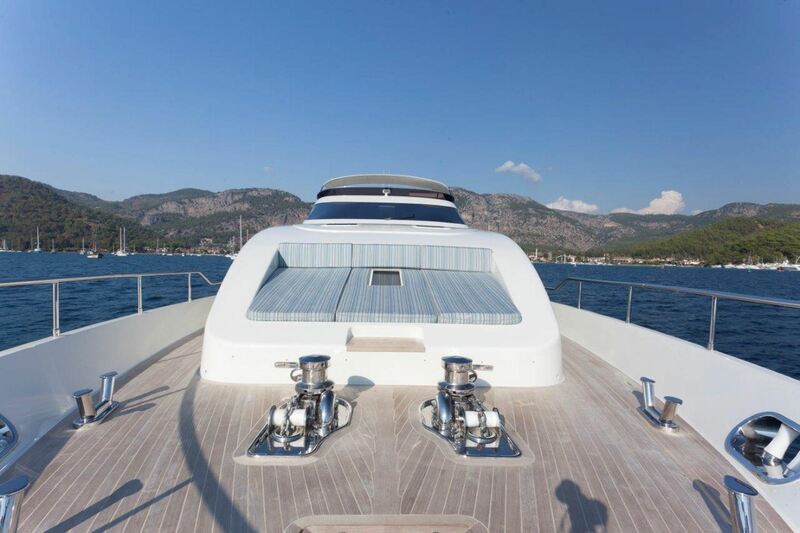 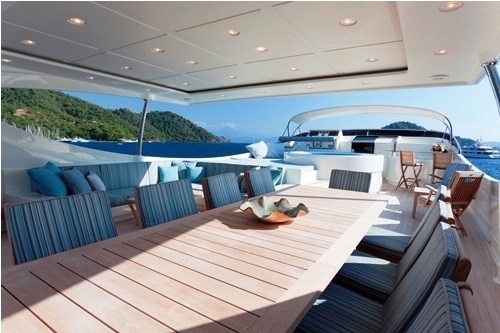 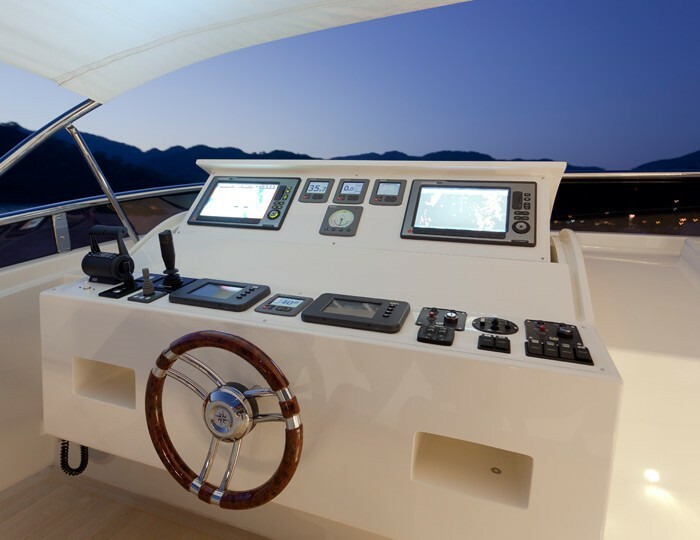 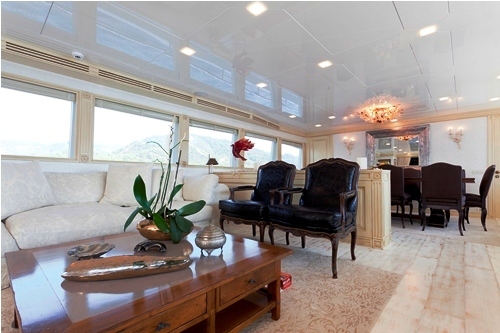 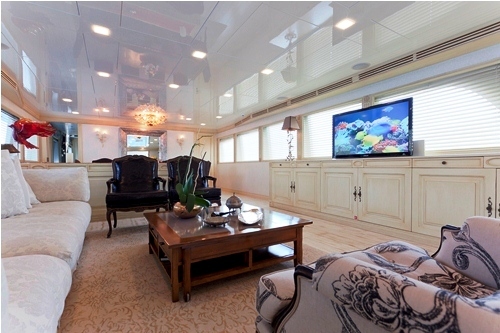 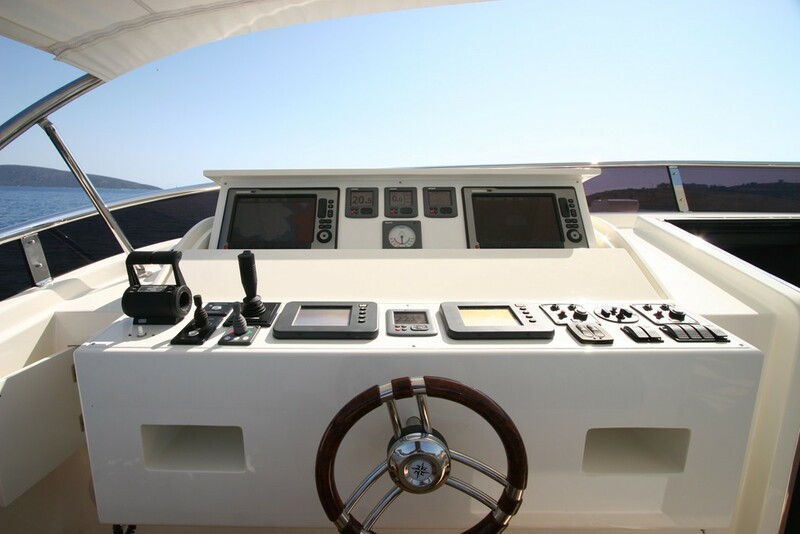 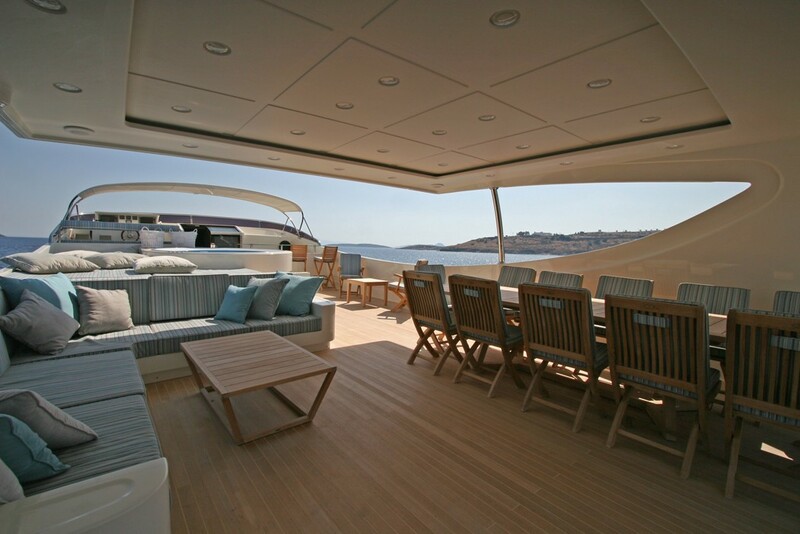 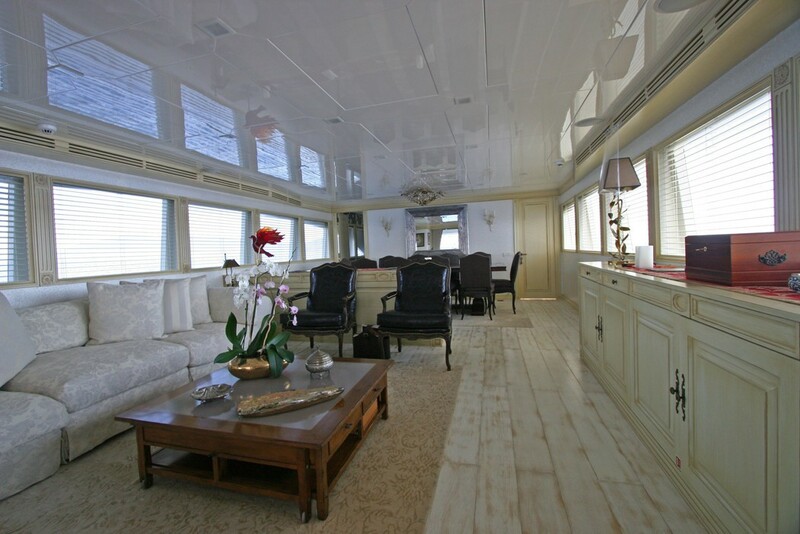 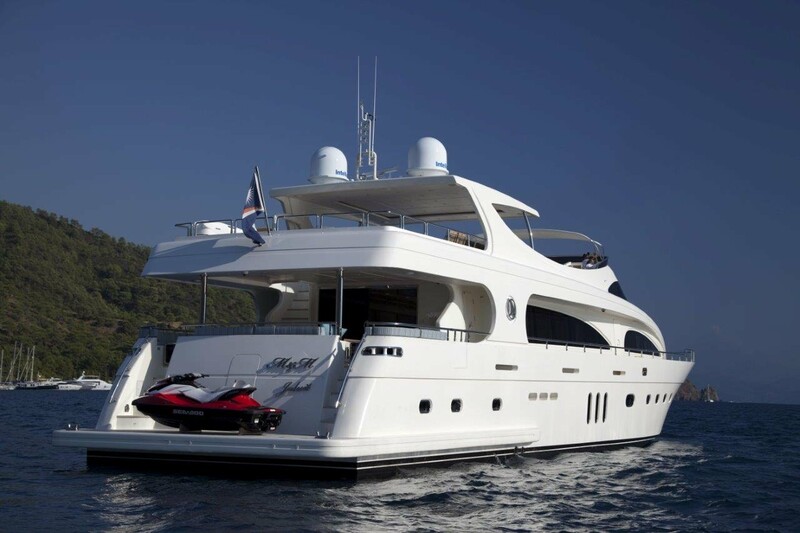 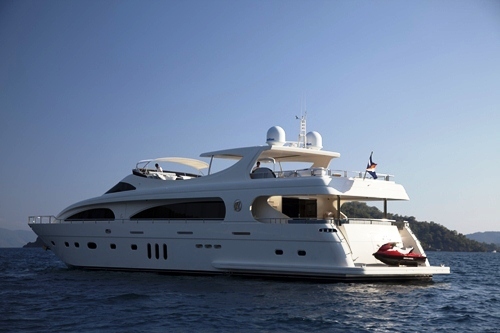 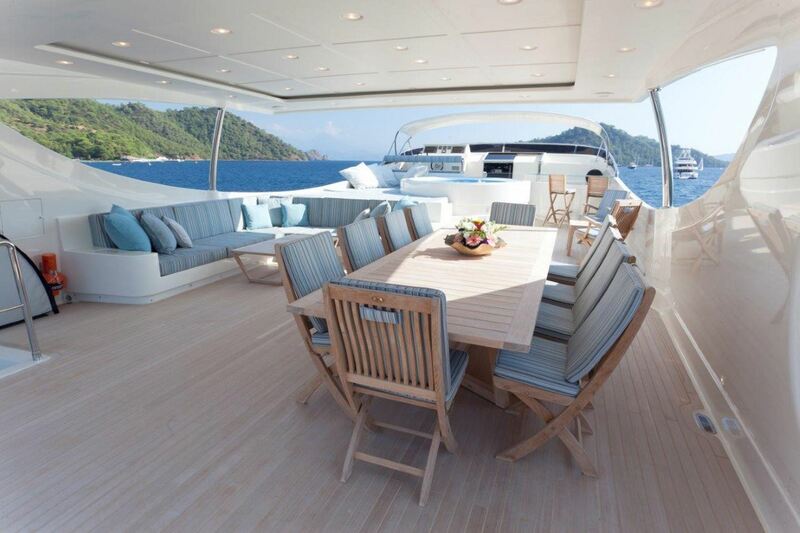 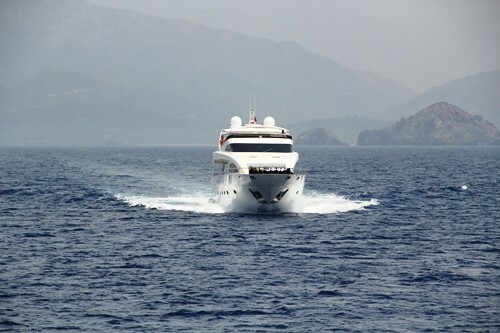 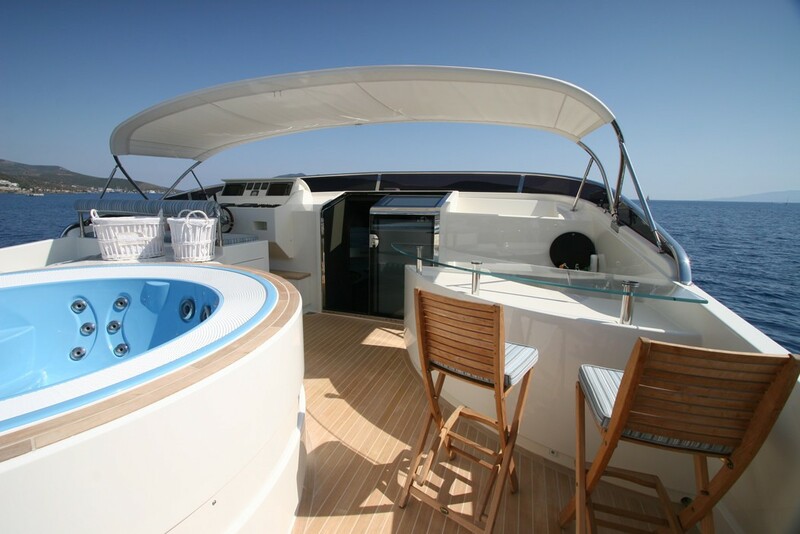 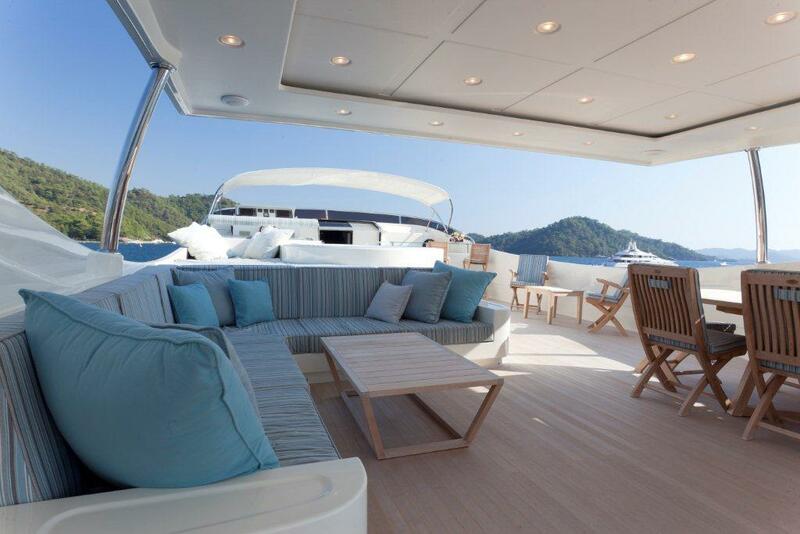 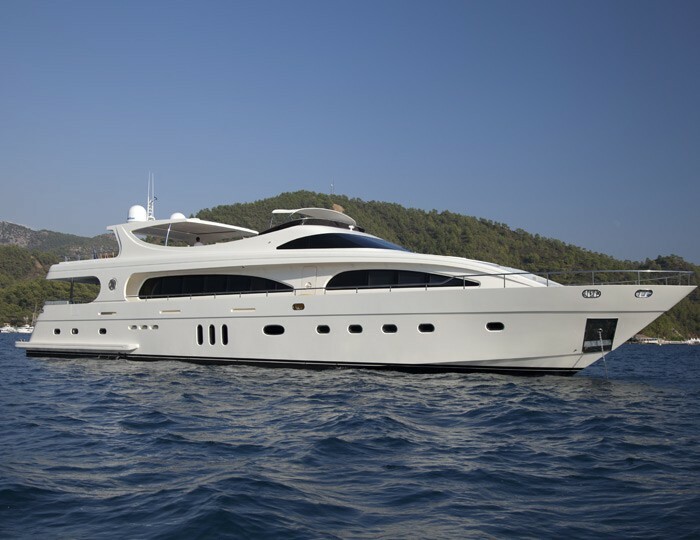 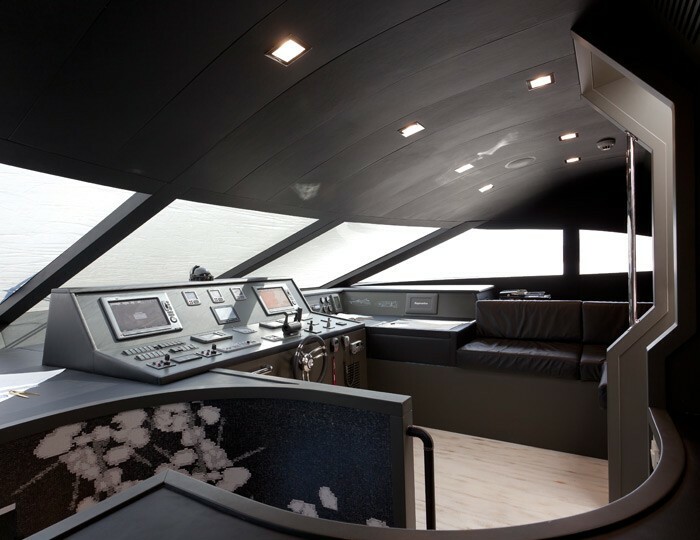 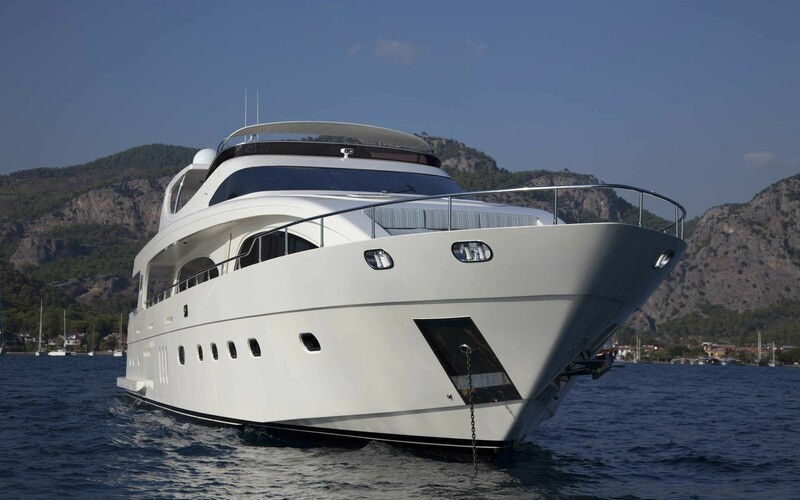 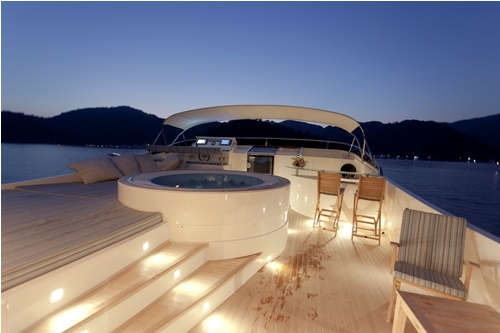 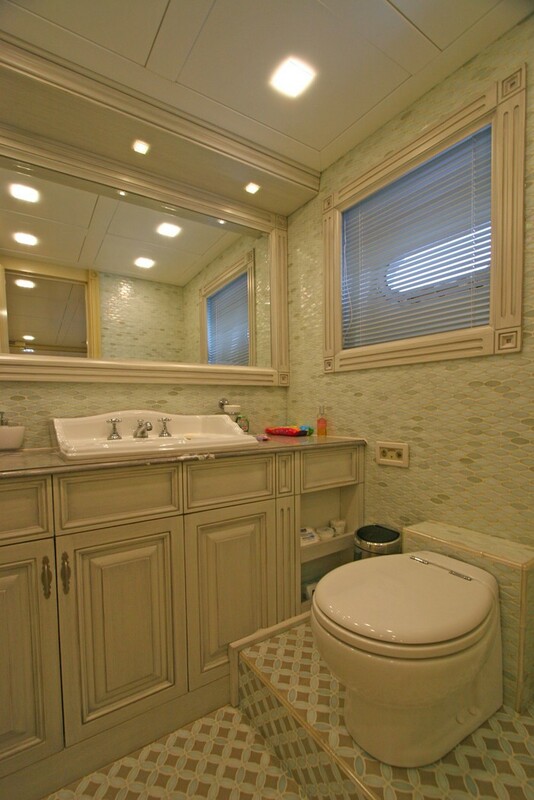 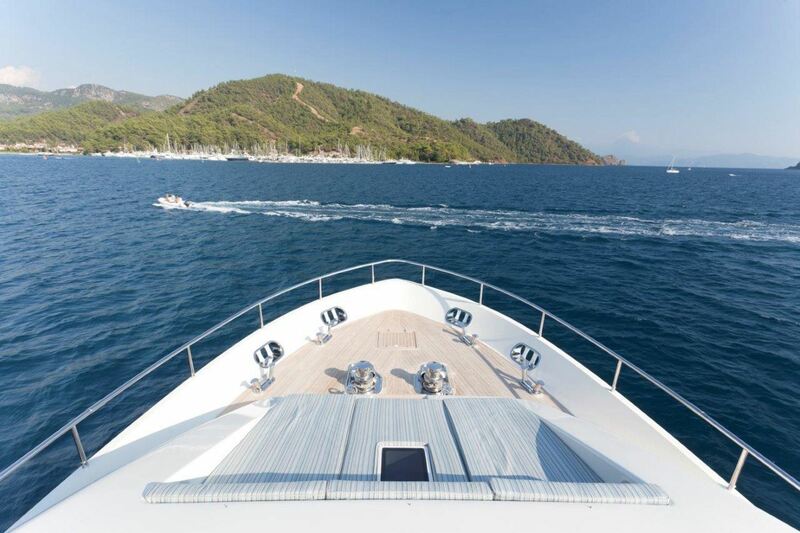 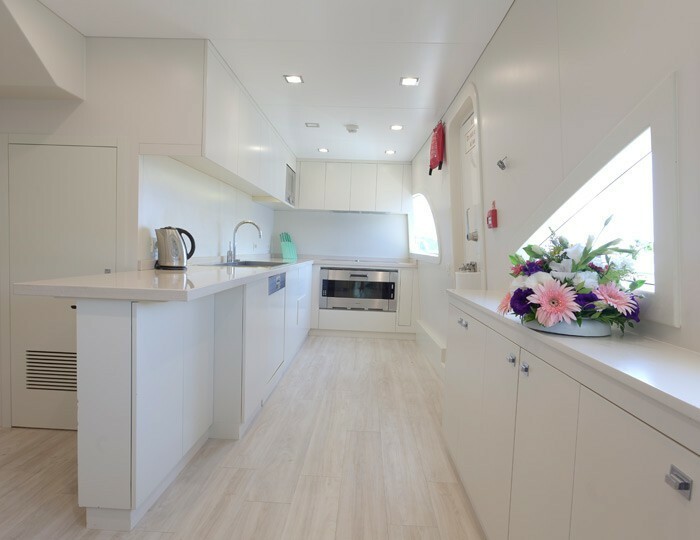 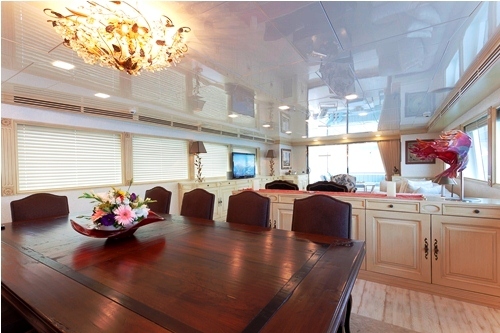 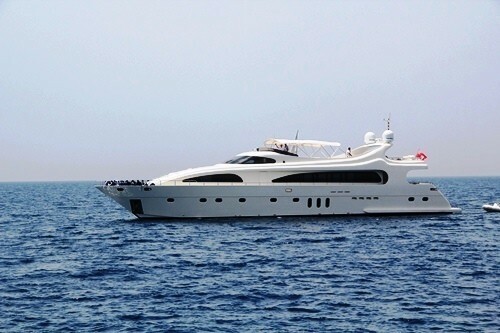 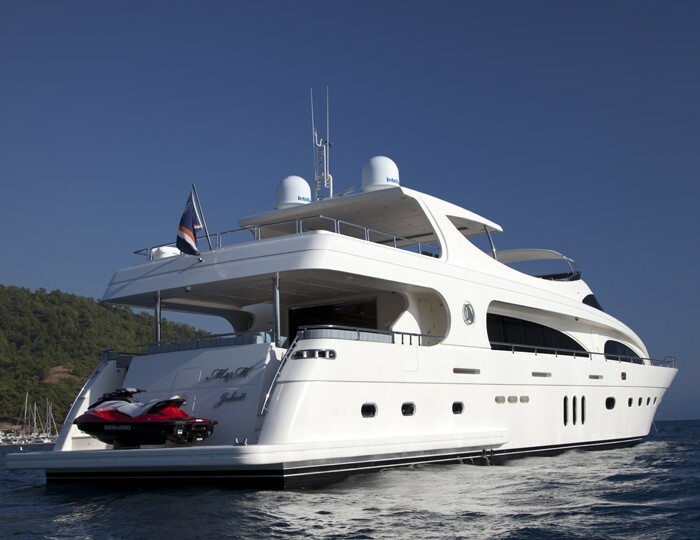 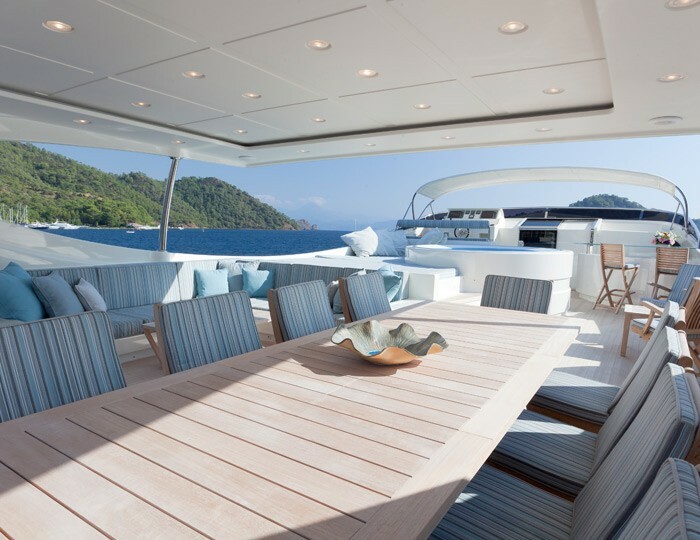 Yacht M & M is very well designed with a spacious saloon and a formal interior dining area. 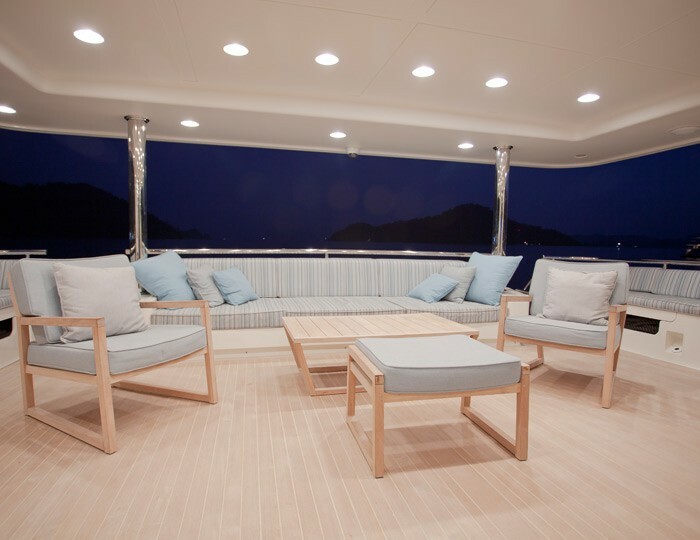 Further alfresco dining is available for up to 10 guests on the aft deck and 10 on the sundeck. 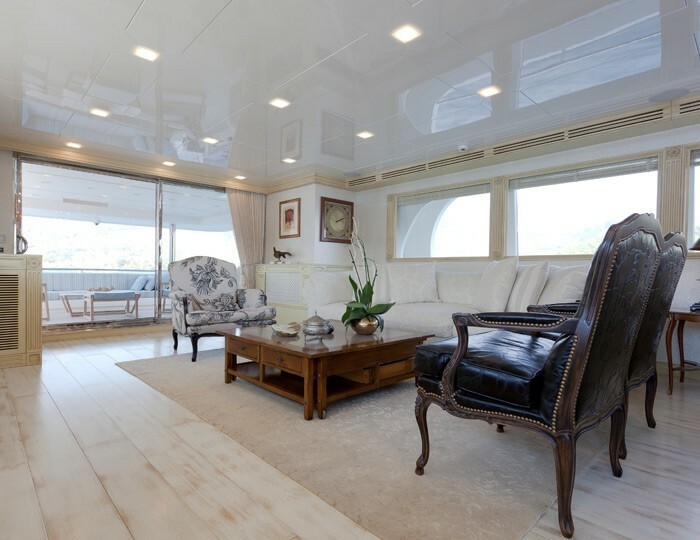 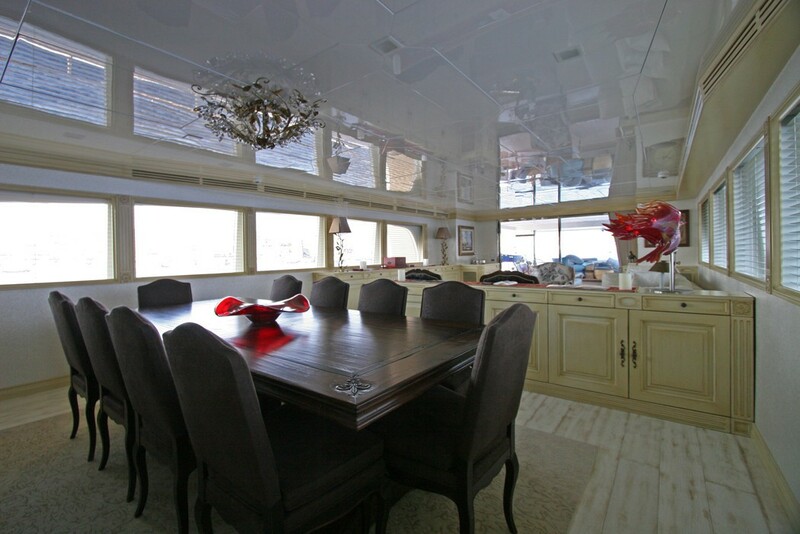 Her flybridge is well designed with plenty of space for dining and relaxation. 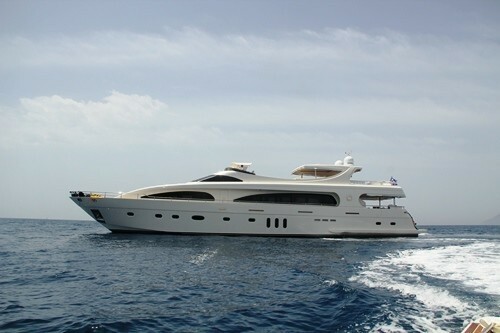 In addition to her dining area she has a bar and service area plus a large Spa Pool surrounded by sunpads plus 4 sunlounges. 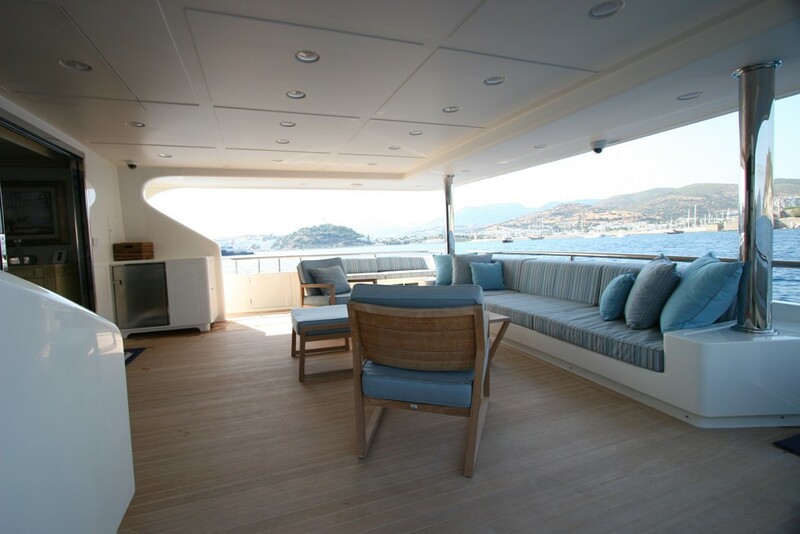 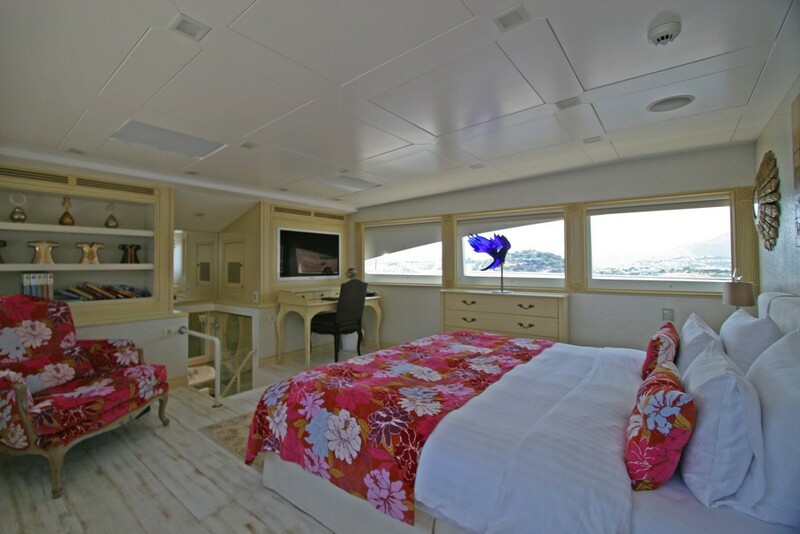 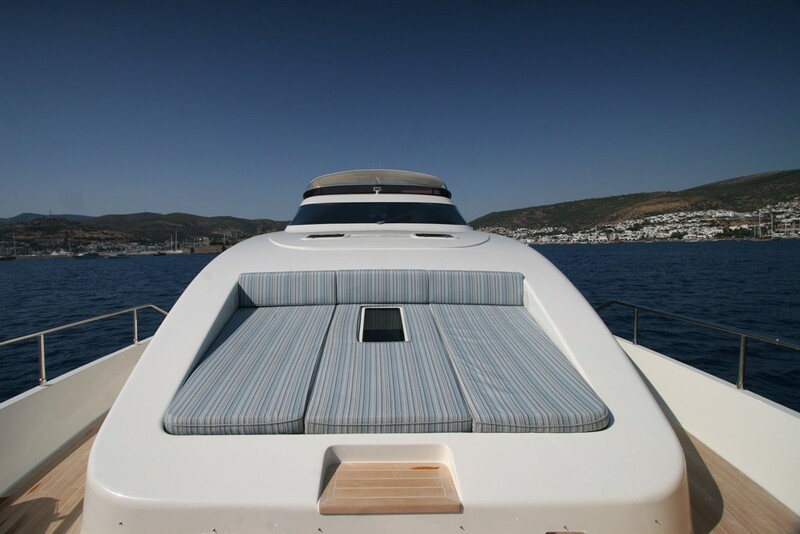 There are further sunpads on the fordeck for up to 4 guests. 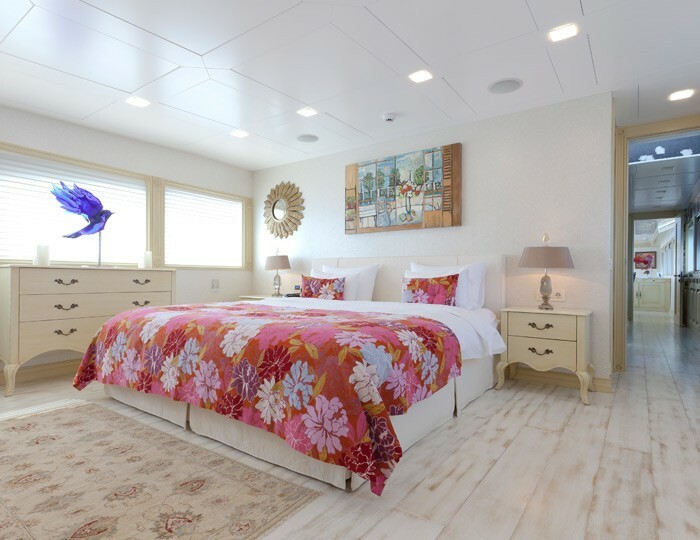 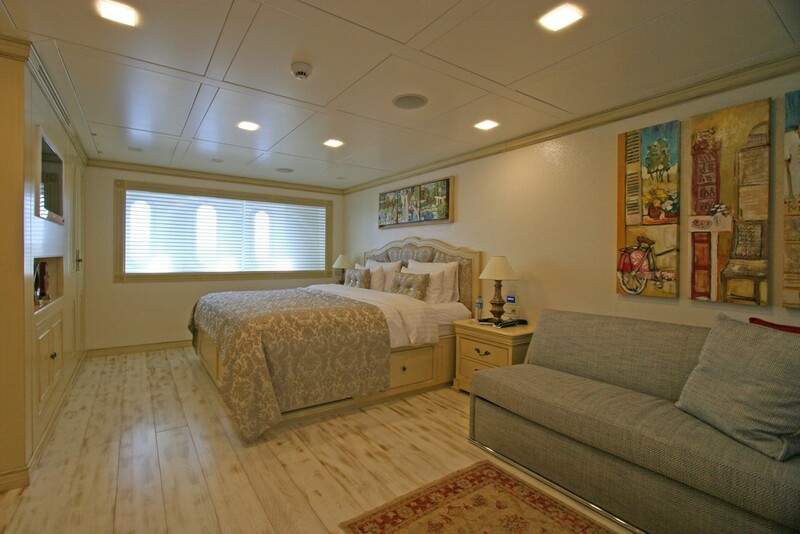 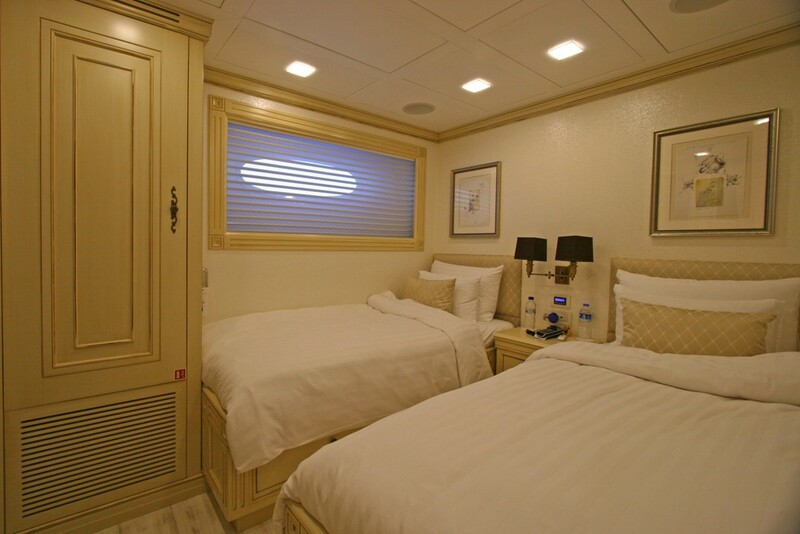 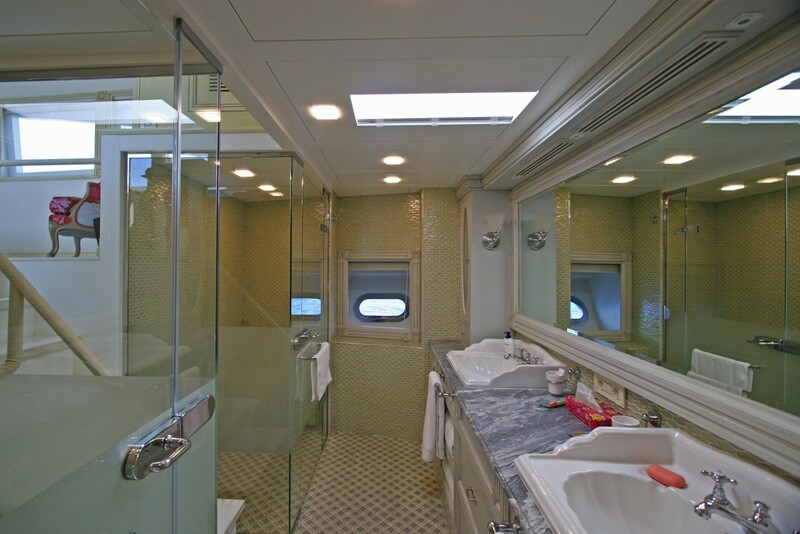 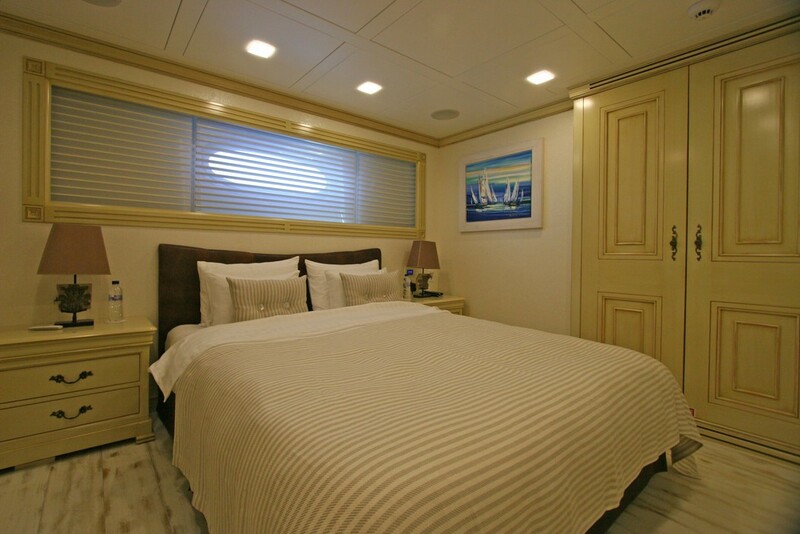 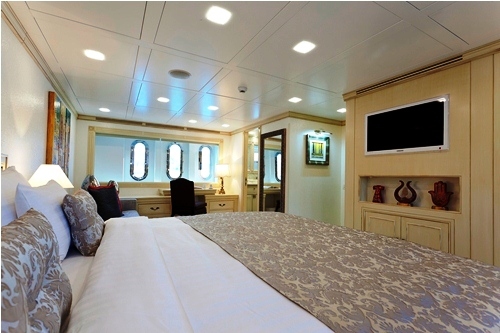 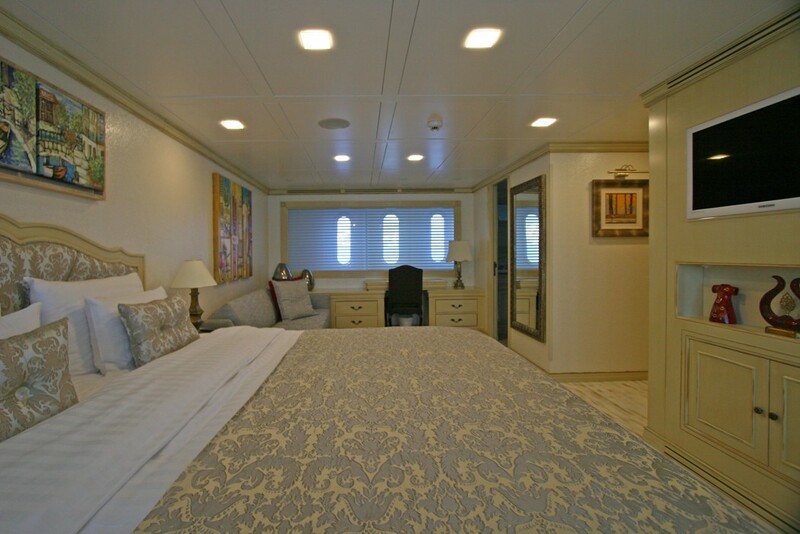 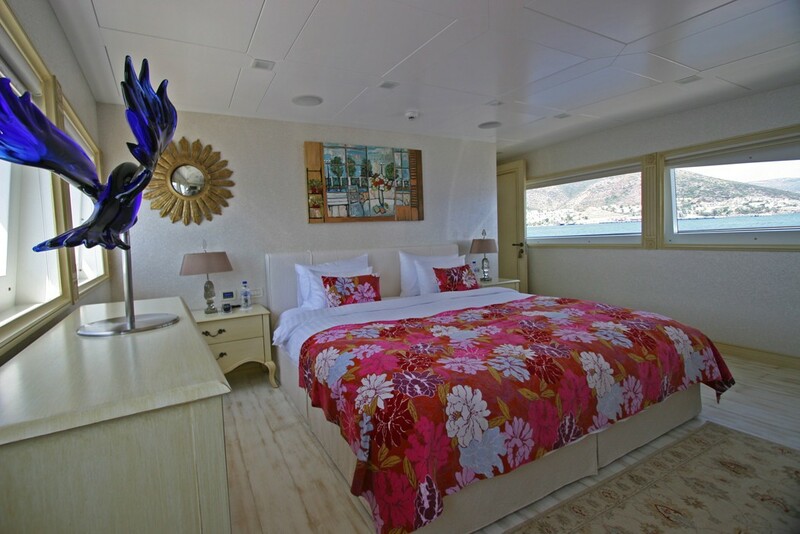 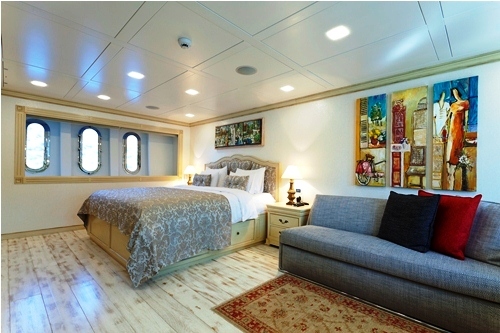 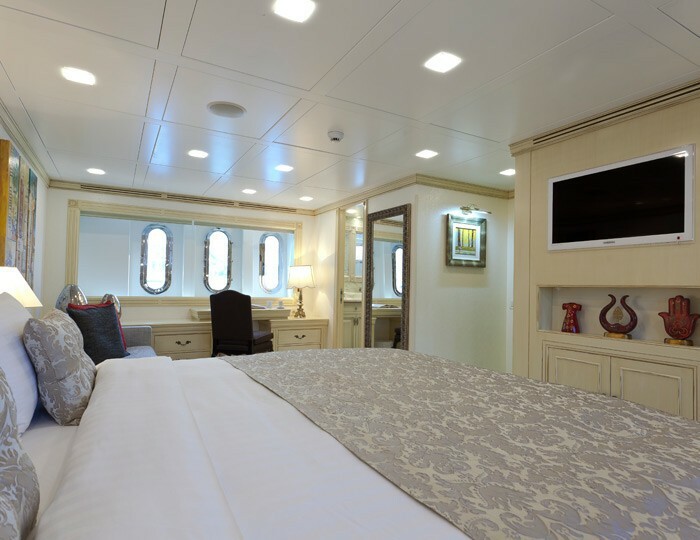 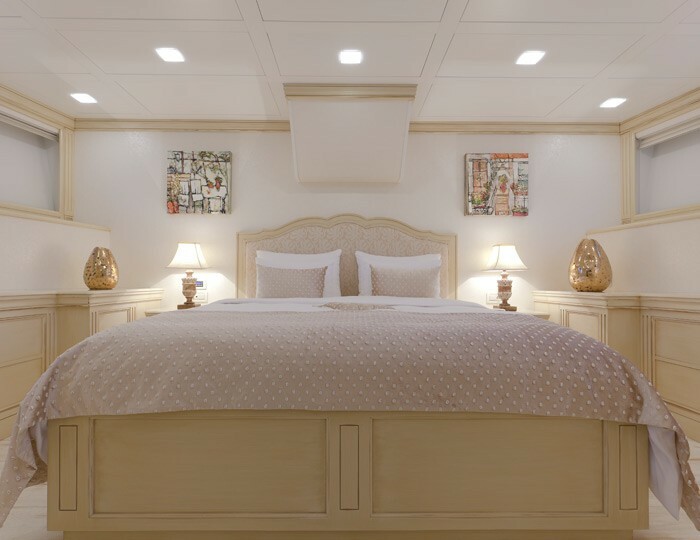 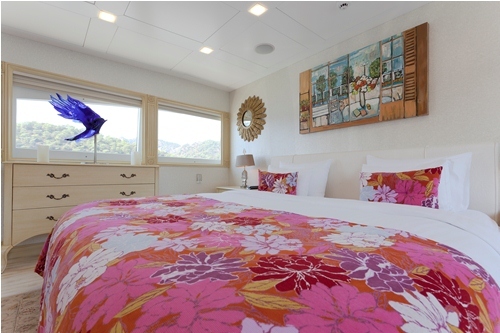 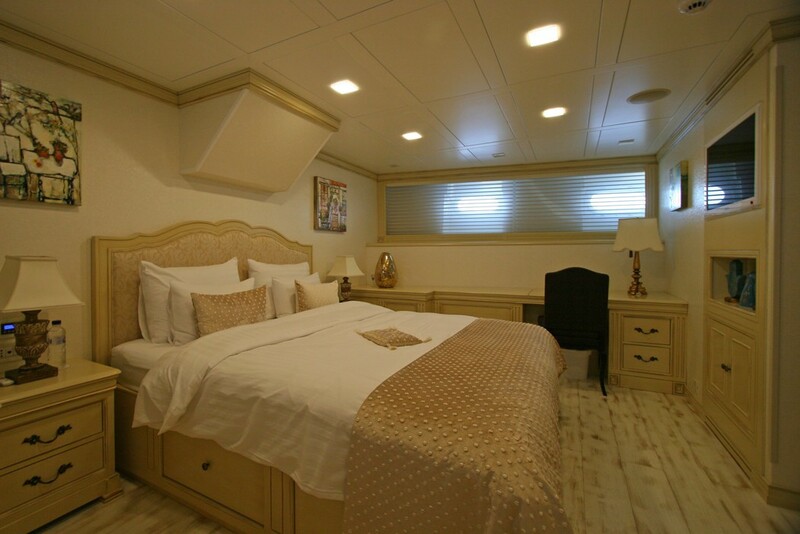 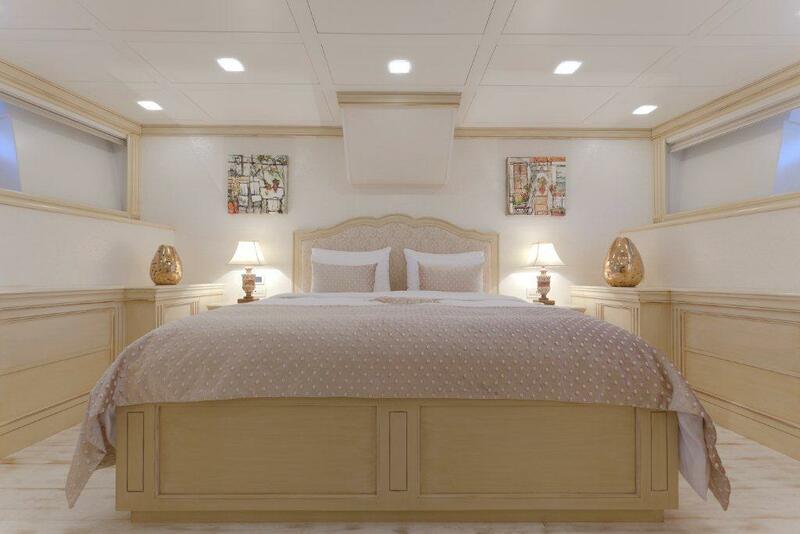 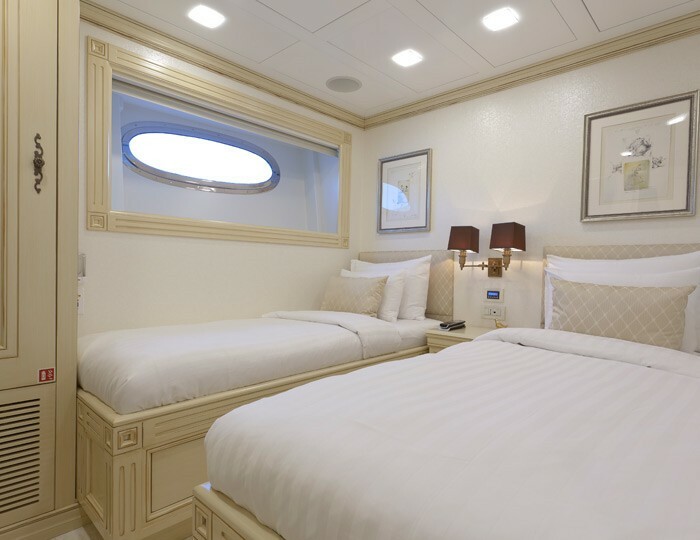 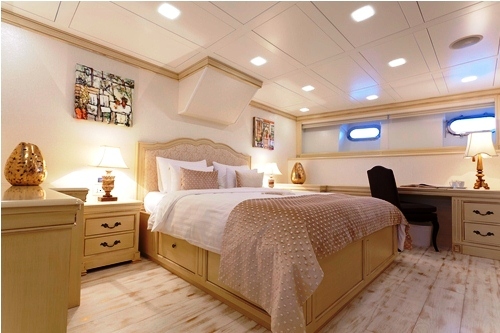 10 passengers in five cabins: 1 x large front main deck Master cabin, king size bed, study, sofa 1 x large aft Master cabin, king size bed, study, sofa 1 x VIP cabin, Queen Size bed, study 1 x VIP cabin, Queen Size bed 1 x Guest cabin with two single beds All cabins include en-suite shower & toilette, intercom, SAT phone and entertainment system. 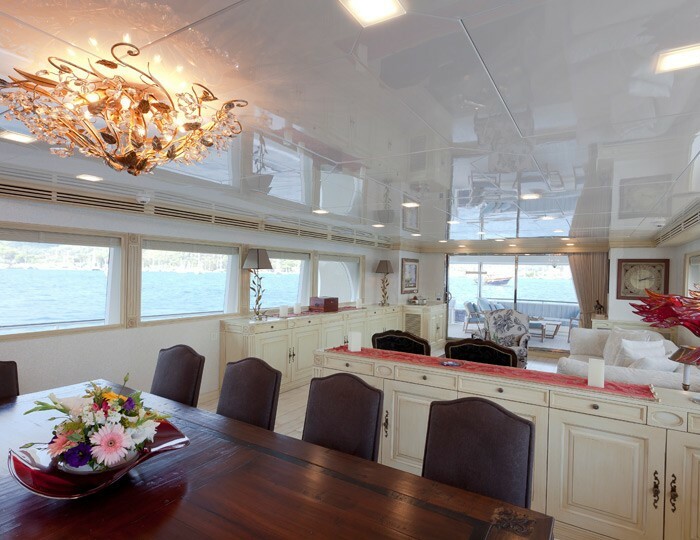 Separate air-conditioning unit.